For most of 2011 I've been working on Mission 2: "Flight to Freedom" and I'm so excited that it's finally out and just in time for Black History month in February! I'm eager to hear the reception among teachers and students. 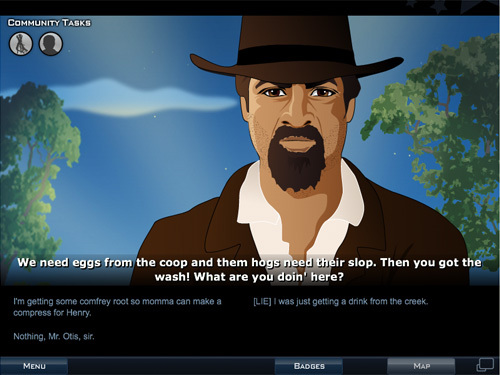 EFS has done some awesome things in this Mission in terms of game design, introducing things such as the escape map sequence and interface, side scrolling scenes, 3D animation sequences, game badges and smart word integration to communicate the issue of literacy in slave communities. As a game artist I tackled some new challenges with this project. The background scenes and interactive environments that I had to create were of a larger scale to allow for side scrolling and a more immersive environment. As always, the character design and environment artwork required some thorough historical research to ensure the historical accuracy as it relates to the costume design, architectural details and objects. 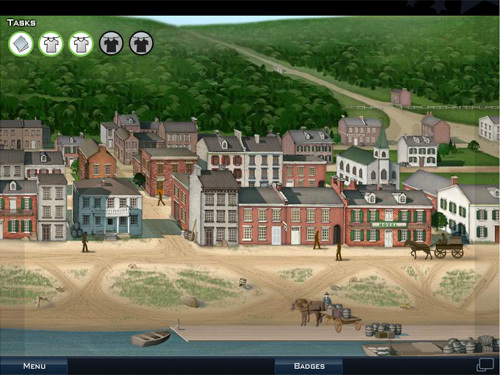 Where Mission 1 took place in Boston in 1770's America, Mission 2 takes place around Kentucky and Ohio in 1850's America around the time of the Fugitive Slave act. So the date required a whole new set of historical research. Mission 2 has you in the role of Lucy, a 14 year old slave girl in a hemp plantation near Lexington, Kentucky around the late 1840's - 1850's. You are acquainted with slave life on a plantation and what it meant to be a young slave. Things happen that force you to run away and you realize that running away is a huge risk and takes a lot of courage and intelligence. You have to learn who to trust and to either stay out of trouble or be part of the resistance. Mission 2 has a really exciting narrative and doesn't sugar coat life for a slave. 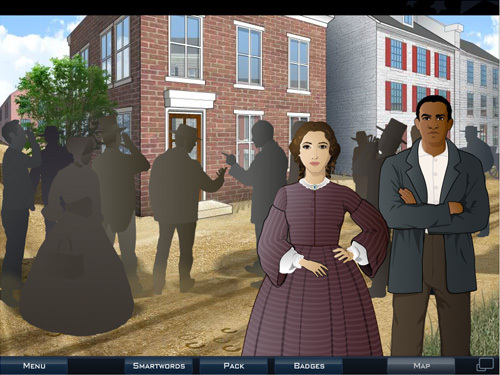 I hope the kids take away a more thorough understanding of the complexities of slave life and the political climate of the time through this game. My hats off to the New York teams at EFS who developed the game, THIRTEEN who produced the game in association with WNET, and our historians at ASHP for the work they've done on this mission. Read the announcement on THIRTEEN here.